What goes great with an adult Halloween party? A fantastic cocktail. One of our favorites here at Bottles is the Corpse Reviver #2, a medley of gin, citrus, Lillet, and enticing aroma of absinthe. 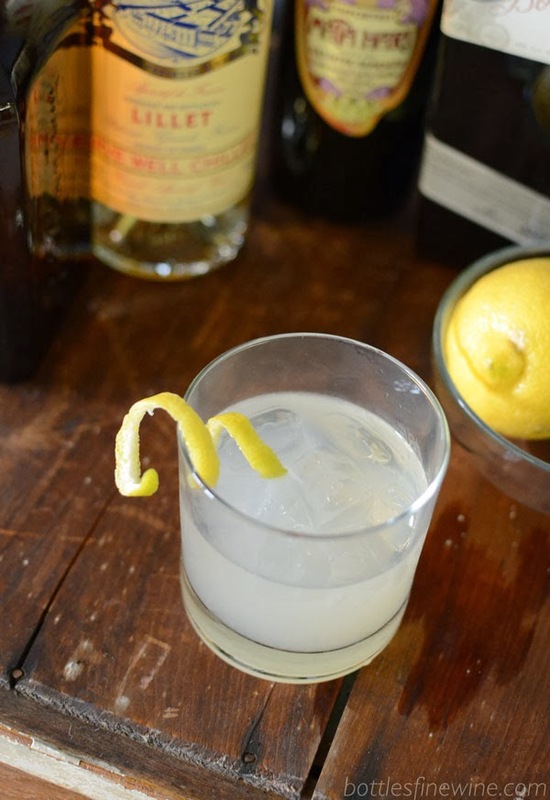 Though ‘corpse reviver’ drinks are originally intended as ‘hair of the dog’ cures, this gin-based cocktail is enjoyable for brunch or any fine evening. You’ll need equal parts gin, Cointreau, Lillet Blanc, and lemon juice, and just a dash of absinthe for a wonderful flavor and aroma. First, “rinse” your glass with a few drops of absinthe by swirling and coating the inside of the glass, discarding the extra. Fill a cocktail shaker halfway with ice. Pour the rest of the ingredients over ice. Shake and strain, serve on the rocks. Garnish with a lemon twist. A Chartreuse and gin concoction with Maraschino Liquer and fresh lime juice. A Prohibition era classic. A devilish cocktail recipe for Halloween. One of the few cocktails that use scotch. 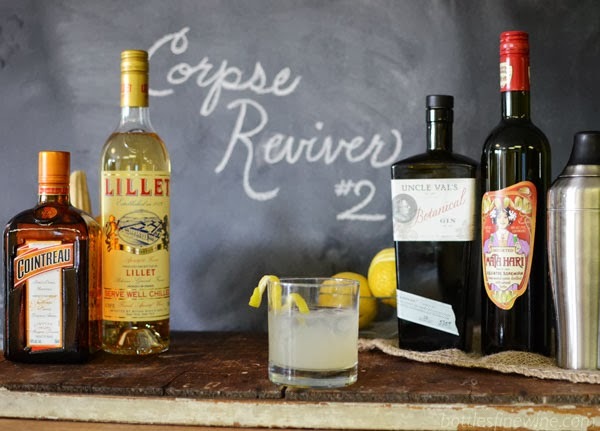 This entry was posted in Cocktails and tagged cocktails, cointreau, corpse reviver #2, gin, halloween cocktails, lillet blanc, party ideas, recipe on October 14, 2013 by bottlesfinewine.